Director of legal forum discusses benefits for Israel of US moves against international court's probe into US army. Efforts by the Trump administration to block an international probe of the US military’s operations in Afghanistan could have a major impact not only on international investigations against the IDF, but also shield Israeli settlements in Judea and Samaria from legal scrutiny abroad, an international law expert said Sunday. 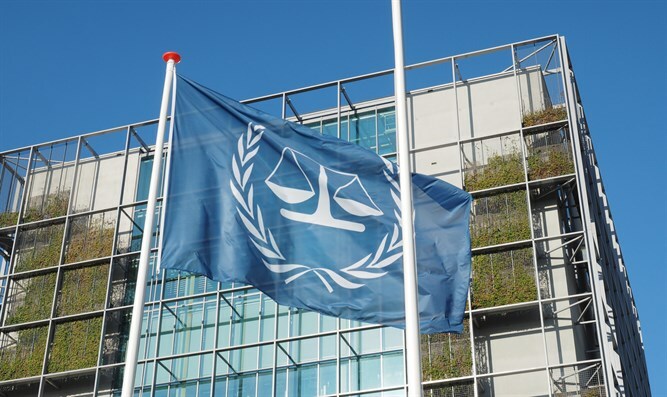 Last week, the International Criminal Court in The Hague announced that it would not be pursuing a probe into allegations of war crimes allegedly committed by the US military in Afghanistan between 2003 and 2004. ICC chief prosecutor Fatou Bensouda had requested permission to probe the allegations in late 2017. The ICC’s decision not to permit the probe came a week after Bensouda's US visa was revoked over a possible probe involving American soldiers' in Afghanistan. On Friday, the Trump administration welcomed the ICC’s decision not to open an investigation into US conduct in Afghanistan. In a statement responding to the decision, the US reaffirmed its position that the ICC has no jurisdiction over the US or American citizens. The statement added that the ICC has no jurisdiction over Israeli citizens, and vowed a “swift and vigorous response” to any attempt to prosecute either Americans or Israelis. On Sunday, Professor Eugene Kontorovich, director of International Law at the Jerusalem-based Kohelet Policy Forum, said the ICC’s decision not to open a probe into US activity in Afghanistan would have major ramifications not only for future bids to launch ICC investigations into IDF activity, but also demands for ICC probes of Israeli settlement activity in Judea and Samaria. “The Trump Administration’s hardball approach to fighting prosecutions of US soldiers by The Hague-based International Criminal Court today was totally vindicated last week when the ICC threw out a long-pending investigation into crimes committed by U.S. and other forces in Afghanistan,” said Kontorovich in a statement Sunday. Kontorovich called the Trump administration’s statement Friday an “extraordinary show of support” which would likely deter future ICC probes of Israel.